Colourful houses, shimmering back waters and chaste routes, a visit to Kerala is no less than the most beautiful dream. Step into another world, brimming with palm trees and clear seas, and think twice before boarding the flight back home. Kerala’s charm is not experienced in the houseboats or the vibrant beaches, it is simply felt in its air. This God’s own country will surely give you a glimpse of heaven when you lay back on the soft sand and gaze at the endless ocean. If Kerala’s essence in itself was not enough, you can enjoy glorious forts, lively National Parks, temples, caves and cascading waterfalls on your visit here. With an amazing backdrop, the resorts in Kerala definitely need to match the natural beauty of the place. 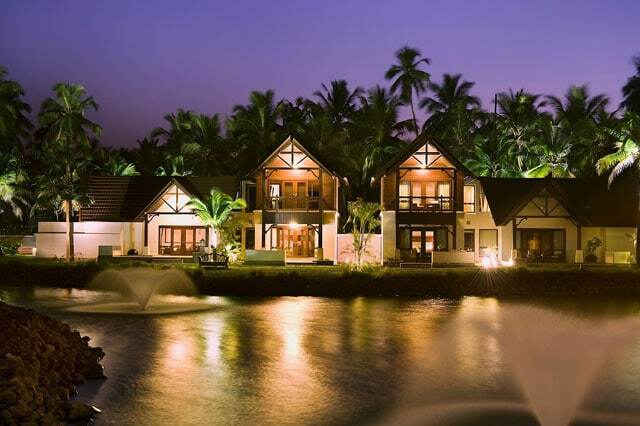 Stay at any one of these 10 luxurious resorts that do a fantastic job at capturing Kerala’s allure. A head-turner all the way, the Lalit Resort is everything you could have asked for, and more. Flanked by the Nombili river on three sides, the resort also has a sparkling personal lagoon. Added to the breath-taking decor of the rooms, it takes the term “luxury” a notch higher by providing a floating cottage! The Rejuve Spa and great cuisine at their restaurant will satisfy you both mentally and physically. Experience the houseboat sitting in your villas, as the architects of Vivanta have designed each room in the traditional Kettuvallam houseboat style. Having exquisite decors and world-class facilities including a pool and a refreshing spa, Vivanta by Taj is a royal holiday getaway for you and your loved ones. Enhancing the beauty of the Vembadanad Lake, the Zuri Resort is the perfect combination of hospitality and beauty. An award-winning resort, it houses South India’s biggest spa – Maya Spa, that is sure to help you wane all your worries away in a jiffy. 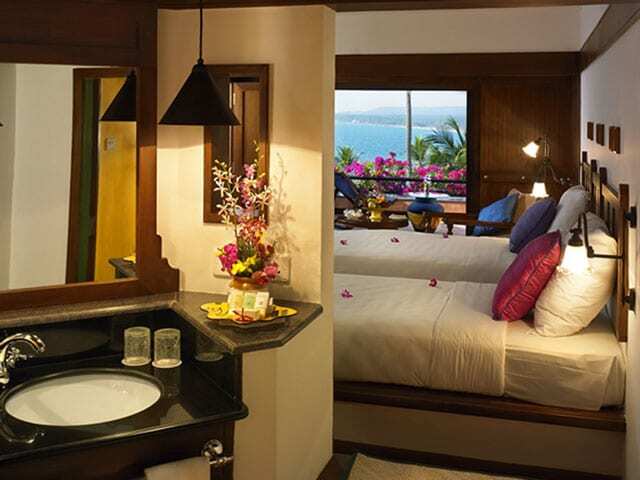 Enjoy the sight of calm waves and the gush of the ocean waters, at the Leela Kovalam Beach Resort. A treasure house of modern amenities, the Leela resort couples it with a courteous staff. Experience Kerala’s and the world’s finest food in its restaurant and after a heart-warming meal, slumber in their luxurious suites. In the midst of huge coconut groves and overlooking the Vemabanda Lake, the Coconut Lagoon elegantly stands ready to give you the best of Kerala’s beauty. You can have meditating Yoga sessions and massage therapies at the hands of experts that weave their soothing magic on your nerves. Giving you refreshing river-facing cottages and your taste-buds, the flavour of Malabari cuisine, the Kairali Heritage is 11 acres of ecstasy. With heart touching interiors against the blue waters of river Kattampally, your stay at Kairali Heritage would be filled with some vividly joyous moments. Enjoying a prime location in the proximity of some of Kochi’s best tourist attractions, Le Meridien is a beautifully decorated resort. 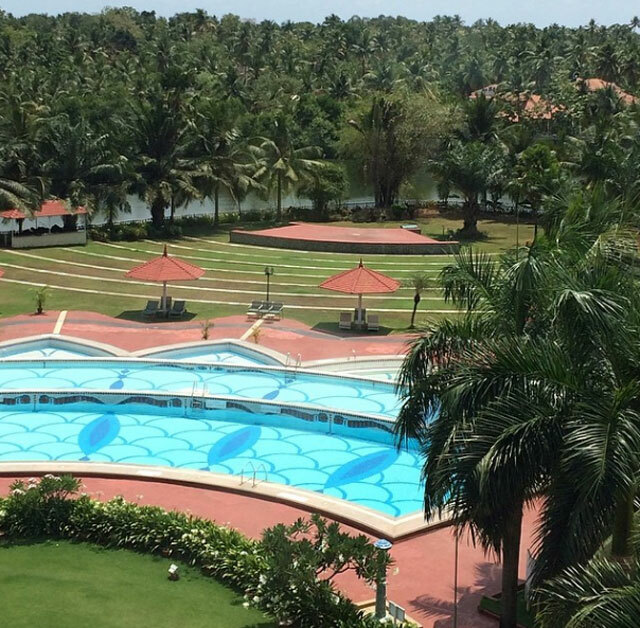 Housing a wondrous pool and a fitness centre, your stay at Le Meridien is bound to be one of comfort and joy. The windows offer a square-shaped peek into the magnificent Kerala. Drive back from a day at the Fort at Kochi or the Wellington’s Island and into the hospitality of Le Meridien. A harmony of different shades of green adorn the luscious gardens of the Samsara Harmony Beach Resort, giving you the perfect scenario to relax. 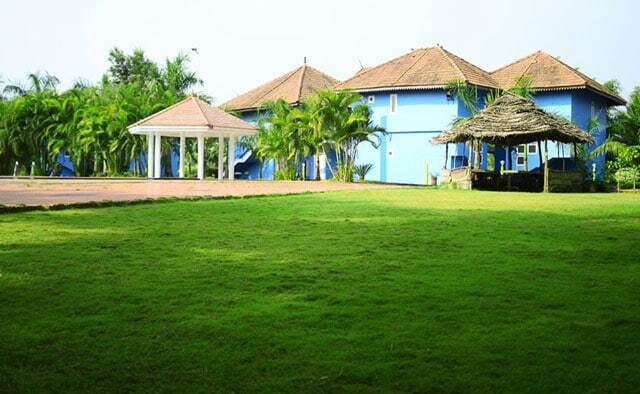 Located near to the picturesque Varkala beach, this resort has a pinch of Kerala’s greenery in its well-curated gardens. 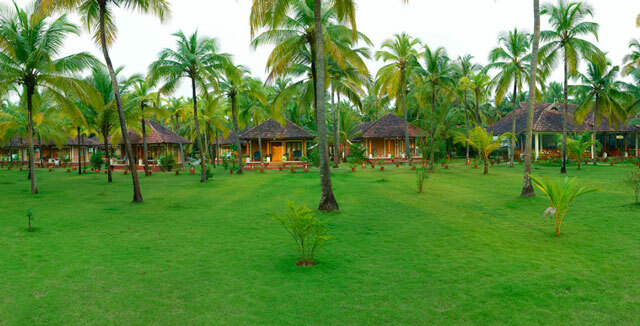 Take a breath of Kerala’s air, with hints of coconuts and palm trees on your long walks in the gardens of this resort. 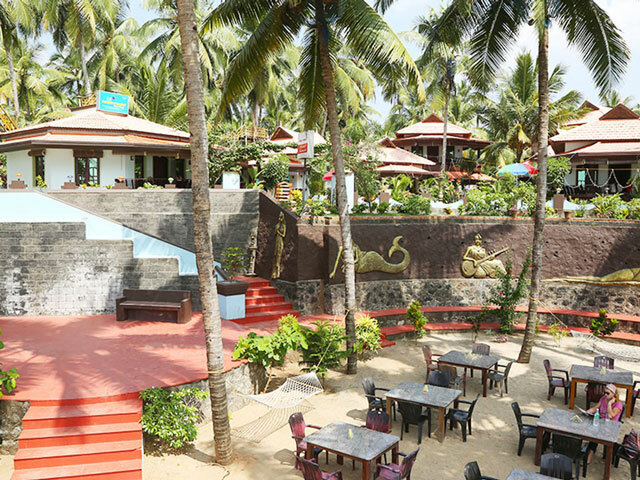 An epic resort with worldly facilities, the Nattika Resort, on the shores of the Nattika Beach is a traveller’s haven. Play some exciting indoor matches in the resort’s sea-facing lounge and you can be well assured that your spirits will remain at an all-time high at this resort. You can also enjoy a friendly match of tennis on the professional tennis court. 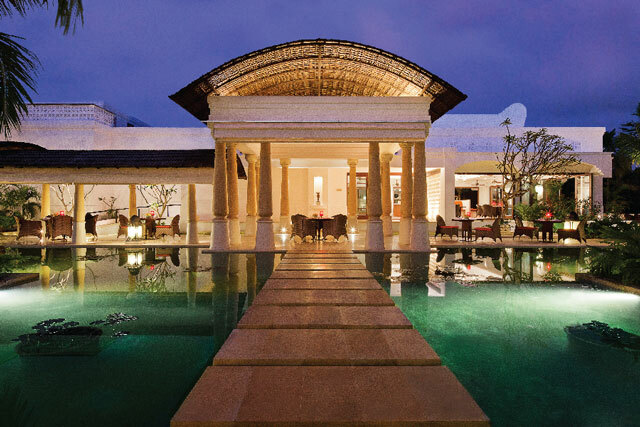 For the peace-seeker, calm your senses at the Ayurveda spa or seek solitude among books in the resort library. There is something for everyone at this beautiful resort. Trek the small stone paths created in the gardens of this dreamy resort. 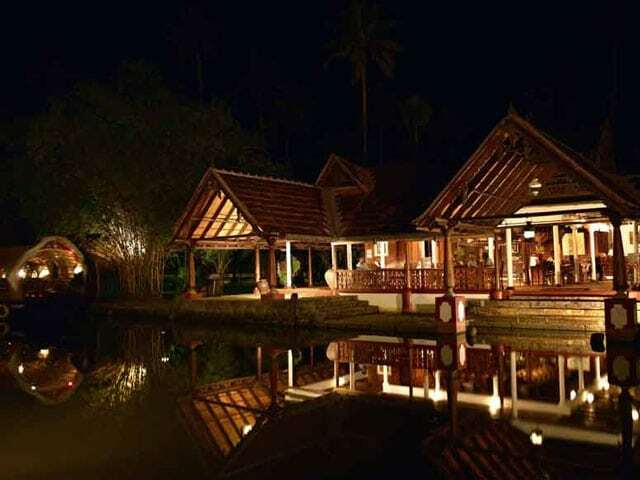 Take in the flavours of Kerala at the fine dining restaurant of this luxury resort. It also provides some rejoicing spa therapies for its guests that will take away all your stress away in a jiffy. 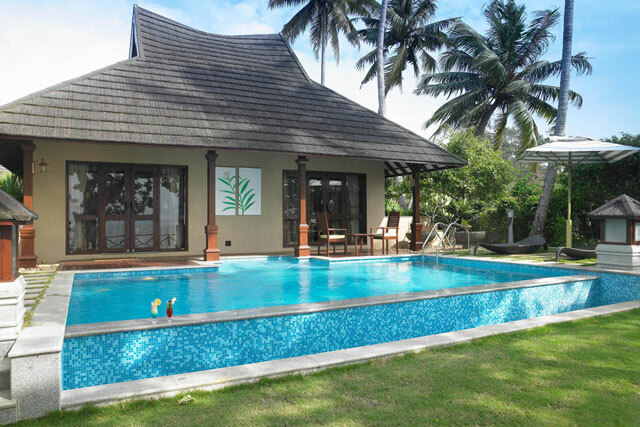 A true luxury resort, the Niraamaya resort will be your perfect companion in your fantastic Kerala trip. A visit to Kerala should definitely be on the top of your mind in you are planning a vacation. The breath-taking sceneries of Kerala will be no less than a fairy-tale to you. Feel like royalty at any of these 10 resorts and make your dream destination a memorable reality.